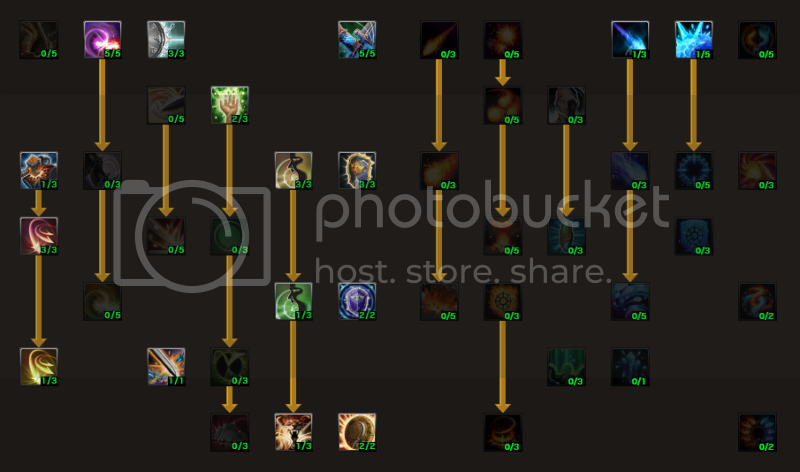 I've got requested by mrblazer to show my level progression to guide on how I pick my skills for each level and I hope this will be helpful for you guys. I just adopted this build, and though it's mainly PvE what combo cycle would you recommend for a PvP scenario? Is it viable at all for PvP at all? PvE combo would be, ice thorns, ice arrow, rush, slash twice, stunning smash, slash twice, Chaotic strike > piercing strike > Cyclone strike, slash once, block and wait for stuning smash or rush to come back. For PvP I would say it depends on the player. Vs berserker, you want to kite them harass them with ice thorns and arrow. Once they get near either block or counter rush/stunning smash them and use chaotic strike combo and run away for cooldown on either rush or stunning smash. the main key of dps with the build is to use normal attack swing 1 & 2 and cancel it out. or sometimes 1 & 2 & 3 and cancel with a skill. The reason for cyclone is because of faster attack speed to perform faster animation with normal swing. -I'll try to use 1h hammer + shield(for faster revitalize). Or, get a staff for secondary weapon. -I tried SoR at max level, i find it worthy of getting since it makes stunning smash more powerful. Didn't add shield slam also, since in dungeons it spreads mobs too much(but still it has a good dmg). Any comments and suggestions? What problems might I encounter in the future? What I suggest is to remove the revitalize if you plan on playing with a party including a Cleric. It's the cleric's job to heal you and not waste time either switching weapon or having a casting time to heal yourself when you are suppose to be the offensive defender with your build. The reason why people like SoR and Slam is because of the high damage on counter attacking. And in this case you don't have Retribution 2 which is what you really want to have however it doesn't apply on slam but on your SoR. But it could be exceptional if you plan on getting the 100% crit hit and then block 1 attack and then afterwards do the slam. Weapon mastery is a must in my opinion for all classes. It increases your overall damage. I don't care about what people discuss about skill % dmg is better than overall % dmg. Your build is a risky build as it relies on blocking and stamina recovery due to SoR and Slam combo takes 48 stamina (half of your stamina). It might be the best for Viva but overall it's a slow paced action build compare to my 40 build which is all about normal attacks and cyclone strike's attack speed buff 20%. I'm not going to say it's a bad build but it's getting common among the players to use this tactic, but I prefer my own style and I like being fast with my attacks and not slow like a berserker. Quick Slash is important but sometimes u have time to use realy sotrong Skill like Slam, moreover I took 1 point in Cyclone strike because of dodge effect so i have 4 dodge effect skils ( Stunning Smash, Sield Slam, Cyclone strike, and massive strike). It's not a bad build at all. It's actually something that could work out well if you plan on not using the shouts and threatening. However Shield slam isn't really good versus bosses and rapid assault but they work well on enemies to stun and knockback. But once again I prefer not to use too many skills. Your build is more of a crowd control build while mine is seeking more into dps with cyclone strike (that is going to be 3/3) without consuming our counterattack buff. is it possible for you to do the same as this guide but for berserkers ? I haven't planned on doing on a class that I barely play, however it's pretty much pick whatever that feels right for you. I prefer unlocking new skills so I can use them before I max out certain skills. That's my advice. Especially if you play as a berserker if you don't know how to fade step slash. But I'll have to think about it as I'm busy with the weather project and other games. I think that is my best buld ever. Good dmg, quick slash, dodge effect, craud controle effect. realy like play on this build . Please type everything in 1 comment as it's spamming my e-mail when I receive three messages. I like the way how you built however I saw that defense mastery wasn't maxed and you used 2 points in Rapid Assault. Adding Rapid assault to 2 only increases 0.5 second which isn't even worth spending your points to it compare to having 7% more chance to perfect block and 10% more reduce damage. The reason why players prefer slam is because of Knockdown effect and not Knockback effect. Therefor Slam is better in AoE situation. The reason why I didn't pick Massive strike is because it consumes Counterattack buff. To be honest, I liked your first build more than the 2nd one. But that's my perspective on PvE/PvP. I want to make it for PVP and I think that the shield slam it's very useful for PvP and PvE. Can you tell what skill I can replace for the shield slam? I think the Chaotic Strike let it on lvl 2, and and put the shield slam in 1. What you think? I really need it. Well the only thing that I suggest is to atleast get lv 1 on most of the skills. 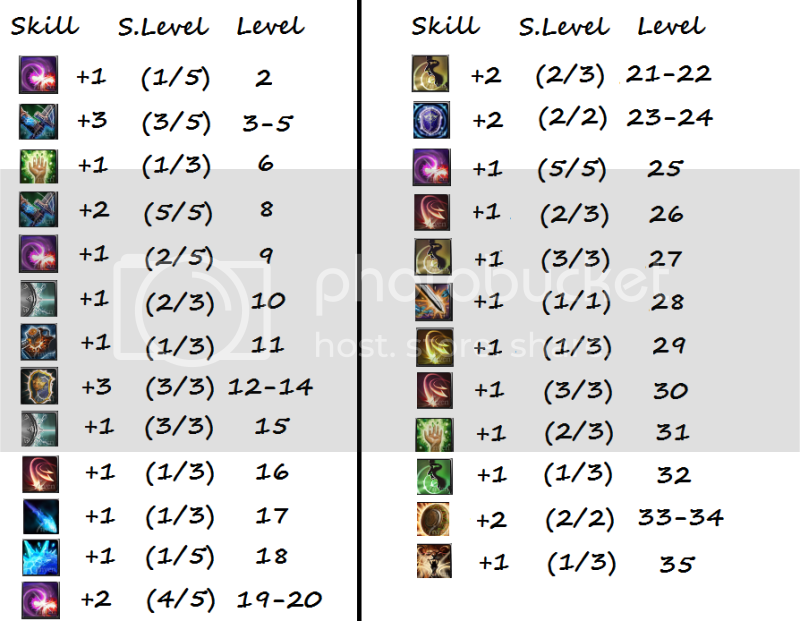 As mentioned above: for pvp you need as much skills to combo with to maintain the enemy knocked down or stunned. In your case as you said you wanted it for pvp this is how I would set mine. I agree on most part of what you mentioned as they are important for "PvP" however chaotic strike is probably the only skill that restores you stamina fastest which is why it's good at being maxed out. The reason why Slam is being 4/5 is because you can't get it to 5/5 due to level cap. and why I picked Slam instead of Massive Strike is because of the knockdown instead of knockback effect which is saving you time to combo instead of running towards enemy. And if I remember correctly it has a longer duration on being knocked down. In the current version, massive strike does "knock down" effect also. It does knock down enemies, but it knockbacks aswell. But the duration is lower than Slam. I know you've since stopped playing, but I've used my Diary of Oblivion to convert to this style of play, and I was wondering if you had any recommendations for levels 35-40. Thank you for all of your time that you put into this game, I really appreciate it. The lv 40 build was written on the 3rd blog post which is an old post. It's still up to date as I would have planned.